The Melaka Sentral Bus Terminal serves passengers in Melaka, Singapore, and Malaysia. The Melaka Sentral Bus Terminal is situated in Jalan Tun Razak Melaka Town and is not nearby any key tourist destinations. This bus terminal is best known for offering the very first buses with air conditioning and taxi stands. The Melaka Sentral Bus Terminal does lack a LRT station, making the express bus the most convenient alternative. The Melaka Sentral Bus Terminal was built specifically to lessen the burden of troublesome travel out of Jalan Tun Ali bus terminal. In Melaka, there are no existing LRT options so the best method of transportation to get to Melaka Sentral Bus Terminal would be by express bus. A taxi would be a more expensive option. Melaka is not as industrialized as Penang and other surrounding areas. 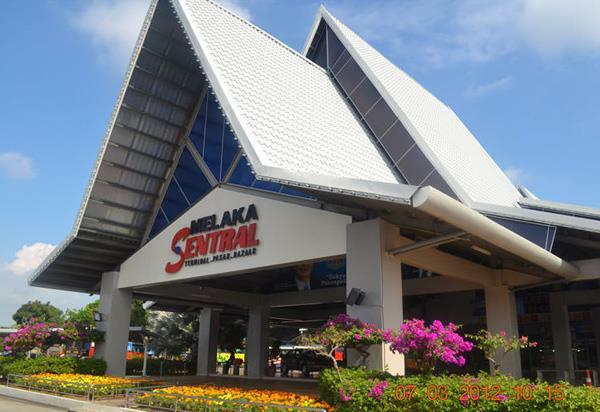 After arrival at Melaka Sentral Bus Terminal, travelers are generally pleased with numerous food options, which include fast food and casual and affordable dining. Also, expect to find shopping, taxi terminals, and ATM machines, car rental reservation desks, Wi-Fi, and souvenir shops. On occasion, there are community-based activities that take place at the Melaka Sentral Bus Terminal. Buses out of Melaka Sentral Bus Terminal arrive and depart frequently throughout the day. It is best to buy tickets a day in advance, if possible. The city around this bus terminal does not have much action during the weekdays and is generally closed down by 7:00 p.m. On the contrary, weekends are booming with a festive nightlife. There are several hotels available in surrounding Melaka. An example of what to expect for travel time from the Melaka Sentral Bus Terminal is about two hours and four dollars to get to Kuala Lumpur, and around four hours and about twelve bucks to get to Singapore.